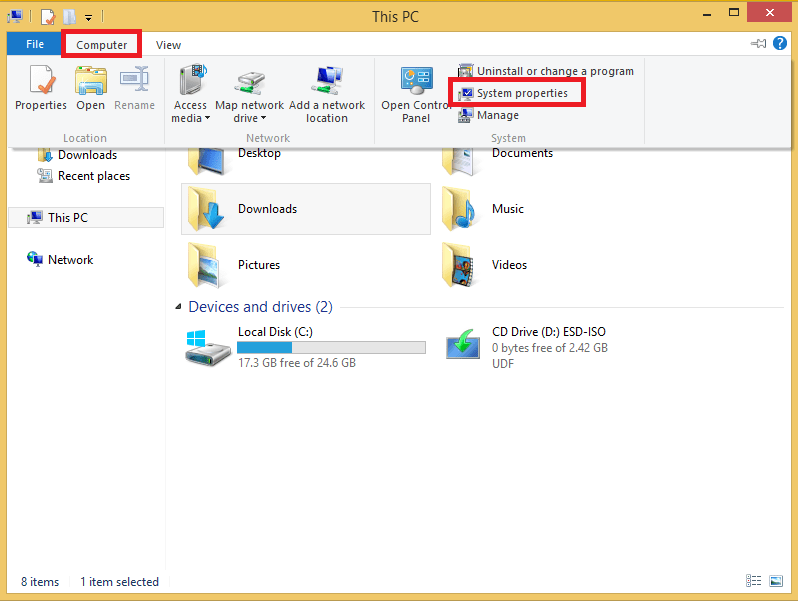 Press [Windows] and [e] together to open Windows Explorer. 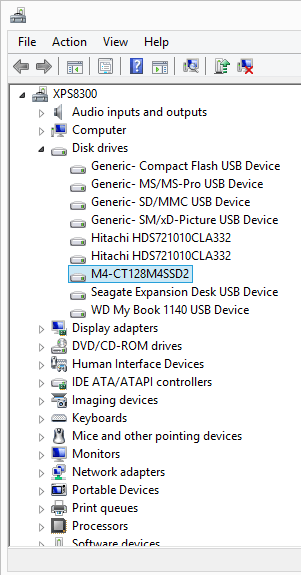 In Windows 7 select system properties at the top and in Windows 8.0/8.1 select computer at the top left to open the menu, then select system properties. 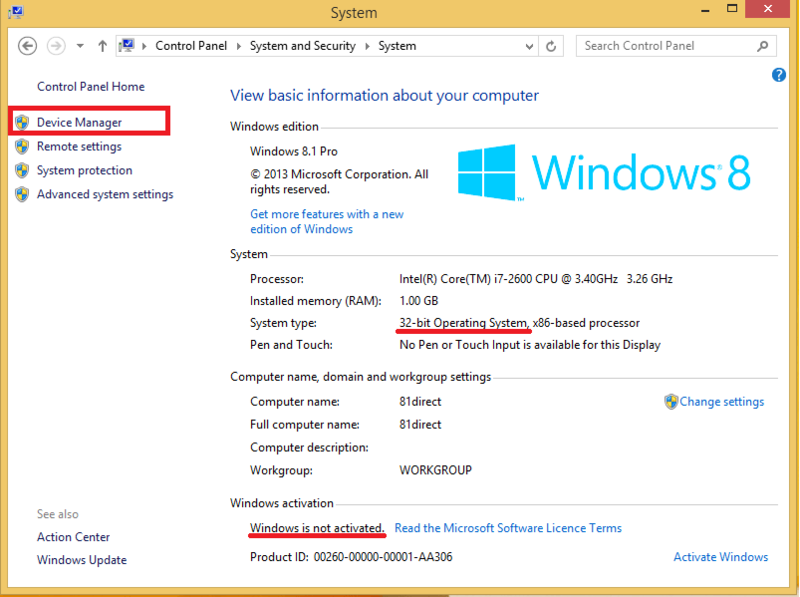 On this screen you will be told whether you are running a 32 Bit or 64 bit version of Windows. 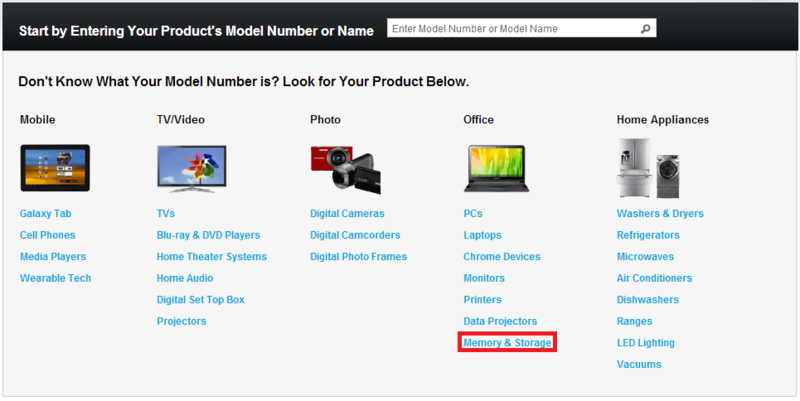 Note also if the processor is Intel or AMD which will correspond to the mainboard. 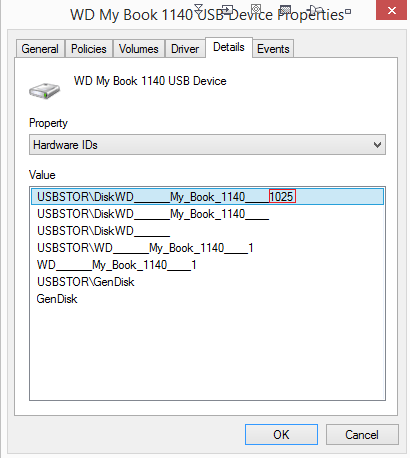 Select Device Manager to the top left and expand Disk Drives. 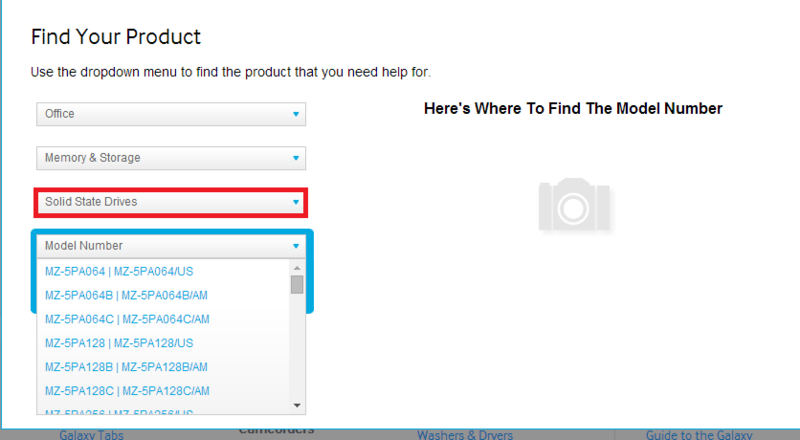 Expand your drive and right click it and select properties. 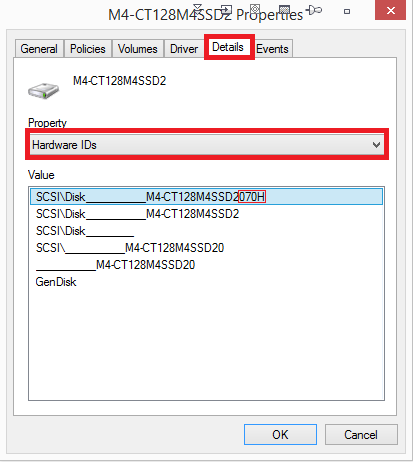 Select details and select Hardware IDs under properties. 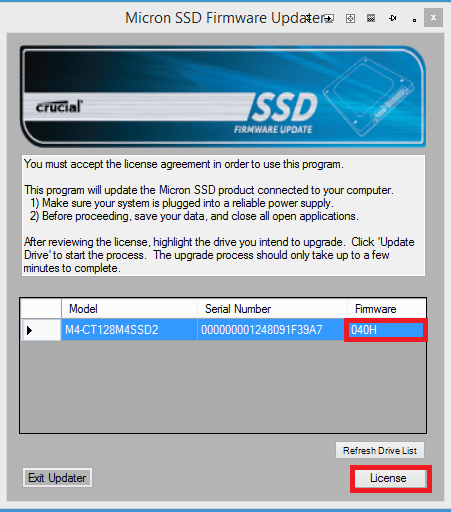 M4-CT128M4SSD2 is the name of the solid state drive and 040H is the firmware revision of the drive. 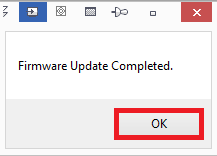 Check the firmware version it should match the device manager. 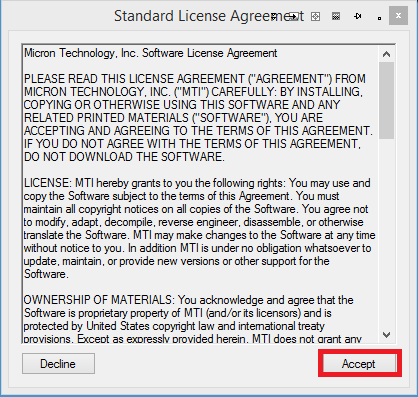 Read and accept the license. Select update the drive if an updates available. The new firmware revision will now be displayed. 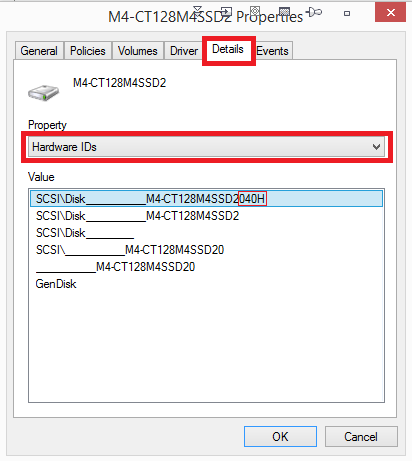 Restart the computer and then verify the changes in the device manager (changes may not show until the computer is reset). 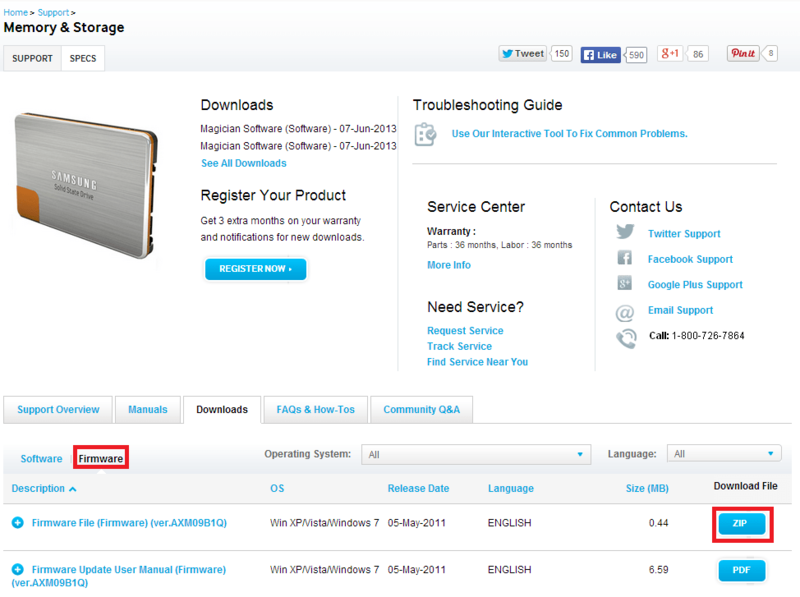 The latest Firmware updates for a Samsung should be listed on the Samsung downloads page. 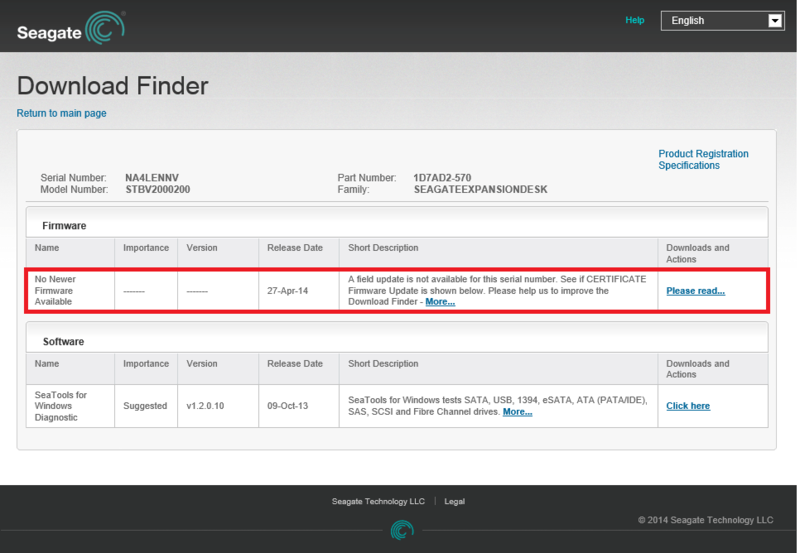 The SeaGate detect will list the name of the drive and its firmware revision. 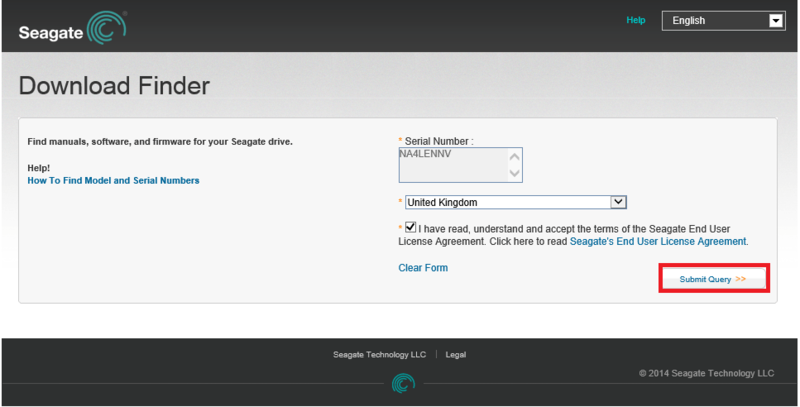 If the drive is SeaGate you can select it and select check for downloads.